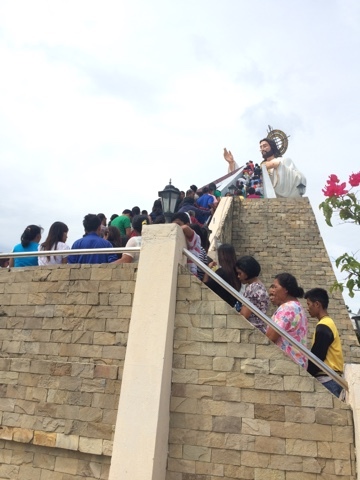 An article published in a local paper reminds everyone: the Divine Mercy Shrine is not a tourist spot. 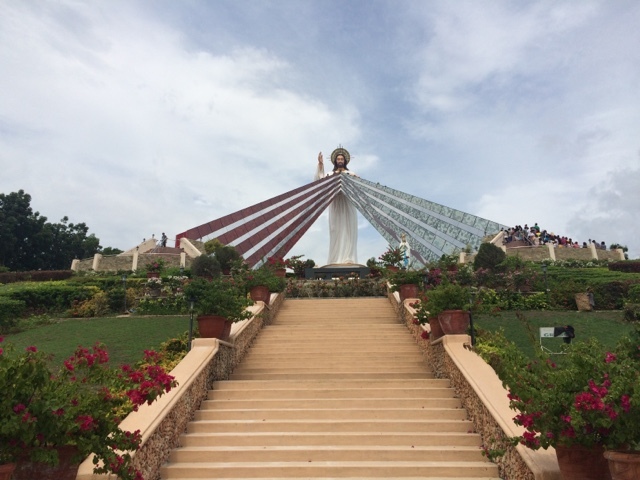 Towering on top of a hill in Northern Mindanao is the world's tallest Divine Mercy Shrine. But the size of the statue is not the story here, nor the reason for a visit. For there is something much bigger here that if we fix our gaze on this one, we'll miss what is really great in this place. 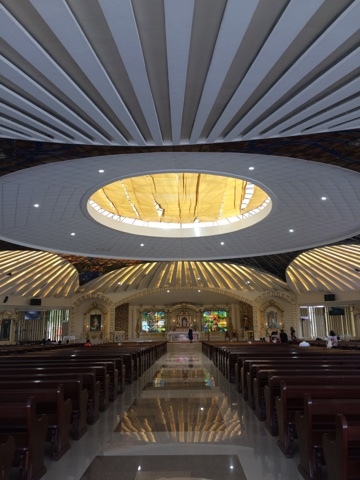 The Divine Mercy Shrine, located at Tambaling, El Salvador City, Misamis Oriental, is a sanctuary for the faithful and a reminder for the rest. Shrines are built to deepen one's faith and relationship to God. The shrine, which opened in 2008, sits on a hill 500 feet above sea level with a total land area of 93,352 square meter. 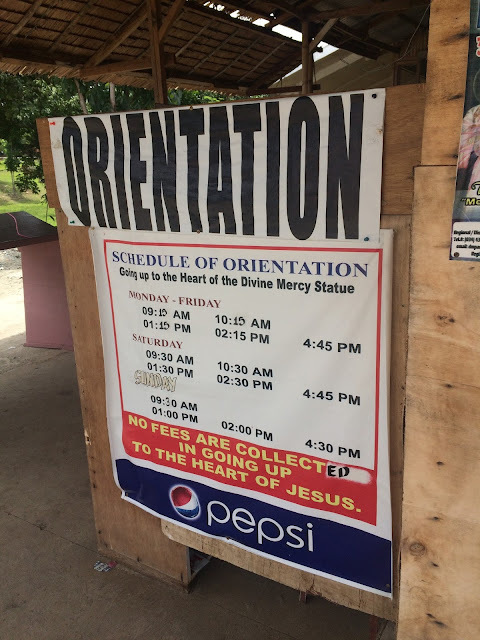 Aside from the 50 foot Statue of the Divine Mercy, there is a Perpetual Adoration Chapel, way of the Cross, Mary's garden, field altar, seminar facilities and monastery. It overlooks the Macajalar Bay and the mountains of Lanao. Here, hundreds of pilgrims come everyday. It is a 30 minute drive from Cagayan de Oro City. I was given options by the receptionist of the hotel where I stayed but I opted to just go there on a cab, who agreed to wait for me. There are two entrances to the shrine. The cab driver dropped me off the main entrance where I took the stairs to get to the shrine. There is also a parking lot at the back. I really timed my visit here for the mass. Immediately I noticed the usherettes handing out skirts for those in shorts and pants. The usherettes were also very attentive, making sure everyone is seated. After the mass, I went to the adoration chapel. Another reminder is posted on the entrance. I also went to the place where pilgrims can get healing water. I also noticed that everywhere there are signage to keep us on the right track. It was too late then to go up the statue so I just said my final prayer of thanksgiving and headed back to the hotel. In this day and age when everything is so fast, it is nice to have shrines like this present to remind us that all we need to keep us is to rest in Him once in a while. Update as of July, 2015. 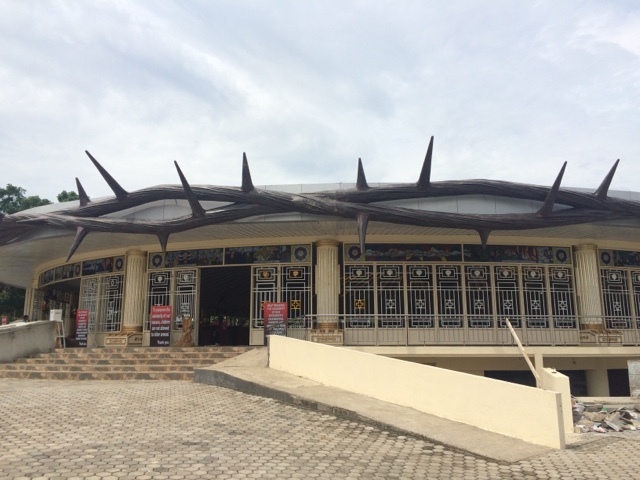 I visited Cagayan de Oro recently and I passed by the shrine before going to Laguindingan Airport. I negotiated a good rate with our cab driver, which included a quick visit to the shrine. We paid him P 800.00. The driver dropped us off the back entrance, which is also the parking lot. Skirts are now being distributed at the entrance. I also noticed a lot of developments like new souvenir shops and this beautiful chapel. Guests are also required now to attend a short briefing before going up the statue. Here are more new photos.